MRT RACE TIRE ANTI-PUNCTURE  KEVLAR TRIPLE BELT SIDE WALLS 28?x 10?  R14 | 17/32? Tread | 32lbs | 8 Ply | 1100lb Load Rating 4 BELTS Tread | 3 BELTS Sidewall |4 BELTS Bead  DOT Compliant! Delivering KEVLAR TRIPLE ARMOR BELT NO FLATS RUN. 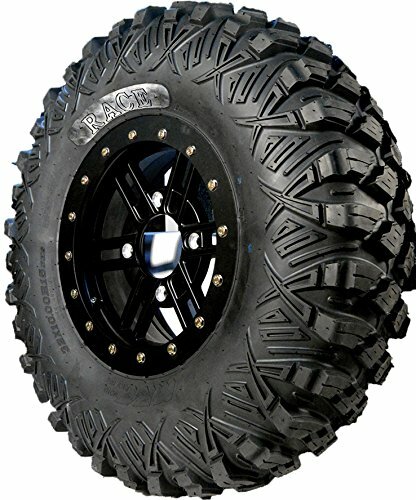 Track and Field; The Ultra Light Weight Tire will support you on the Track, Rocks, Mud, Sand or Gravel. Separated Tread Design and Aggressive side bits keep you vehicle on track 28 10 R14 and 30 9.5 R15, Only Side by Side Tire in this size. The 9.5-10 Width performs the best on Race Tracks from cornering to climbing. Racers Choice! MOTO RACE is constructed using a Special Duro Compound to provide a smooth riding experience. If you have any questions about this product by MRT, contact us by completing and submitting the form below. If you are looking for a specif part number, please include it with your message.